The 20 day Tanzania safari itinerary is quite exciting. It will take across Tanzania from north to south and to the coast and the island of Zanzibar. 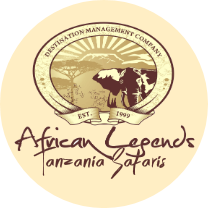 It is an extensive tour of Tanzania, and is well worth all the time and money spent. on arrival in Tanzania, you will be met by one of our guides who will transfer you from the airport to Arusha town. You will spend the night in this busy tourist town. If you have time you can explore the town. We recommend that you spend day 2 resting, and touring Arusha town, and see what it has to offer. The busy more exciting part of your safari will start with a 2hour drive to Lake Manyara. This is a relatively small par, but it does have a variety of wildlife including tree climbing lions, and flamingoes on the lake. Game drives, a picnic lunch and perhaps a guided nature walk through the park should wrap up your day pretty nicely. Then it will be off to Ngorongoro crater. After an early breakfast, you will go on a game drive in Ngorongoro conservation area descending to the floor of the crater to enjoy one of the most exhilarating wildlife experiences ever. In Ngorongoro you will get the opportunity to see the big5, the rare black rhino and much more. Enjoy a picnic lunch on the floor of the crater, and see some more wildlife, and then you will start the drive to Serengeti national park. Serengeti is on one of the amazing wonders of te world, a full day of game drives in this wildlife haven is nothing short of thrilling. You will see a variety of wildlife such as leopards, cheetahs, lions, and also catch some of the annual wildebeest migration action. Lots of great photo opportunities as well. he morning of day seven is one of the few lazy mornings you’ll enjoy on this trip. After breakfast you’ll be taken on a drive to Mto wa Mbu where you will see and experience the local culture and even enjoy a typical local lunch. Afterwards you will visit a Masai boma/village. Day 7 is about cultural tourism. After the village visit you will be driven to your next place of accommodation which should be close to Tarangire national park, since that is where the next day will be spent. after an early breakfast, you will be taken for a full day of game drives in Tarangire national park. This park is famous for having impressively large herds of elephants near the Tarangire River. Enjoy the wildlife, the birds and the scenery. On the 9th day you will travel the long distance to Dodoma. The journey is quite long, so on arrival you will simply check into your hotel and rest for the night. The next day is for you to unwind and relax and recover from the first leg of your safari. You will start the day with an early breakfast, and then go on the 6 hour drive to Ruaha national park. Ruaha is the largest national park in Tanzania. It has a big wildlife population and a vast assortment of bird species as well. Be sure to enjoy some of the scenery and wildlife and then head to your lodge for dinner and sleep. The next day, you wil have a full day of game drive in Ruaha national park. Explore the park by vehicle and on foot, walk along the river banks and simply enjoy nature. After an early breakfast you will leave Ruaha for Mikumi national park. enroute to Mikumi you will of course enjoy a game drive. Mikumi national park is famous for its nocturnal animals such as bush babies and aardvarks. The next day, you will fully enjoy Mikumi. Going o game drives, and nature walks and exploring the park as much as you can. the day starts with a four hour morning drive to selous game reserve. This is the largest game reserve in Africa, and has a variety of wildlife including lions, leopards, cheetahs, elephants, buffaloes and so much more. Enjoy game dives drives and walks, and bird watching in Selous game reserve before you move on to your next stop. Time to head back to Dar es Salaam. You will drive back to dare s salaam, and later to the airport and get on a flight to Zanzibar. The rest of your safari will be on this beautiful island. 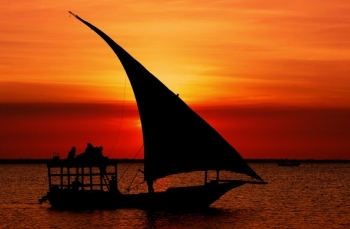 On the island of Zanzibar, tour the island, enjoy water excursions such as snorkeling and boating, go on a spice tour, visit the historical stone town and enjoy the ocean. This is the last day of your safari. After breakfast you will be driven to the Zanzibar airport to catch a flight to Dar es Salaam, and then you’ll soon be on your way back home.